Don has been fighting for the rights of those injured by others' negligence for over 18 years. He is also very active in the greater Waterbury community. Currently, Don serves as the Vice Chairman of the Waterbury Regional Chamber and is on the Public Policy Committee, as well as a member of the Chamber's Executive Committee and a member of its Board of Directors. In addition to the Waterbury Chamber, Don is also on the Board of Directors for Main Street Waterbury and Holy Land USA. Don is committed to the Greater Waterbury Community and remains proud of this Community's ongoing achievements and success. He considers it a privilege to represent the interests Greater Waterbury Community on the local level through his service on various Boards, through Chamber activities and often, as an advocate before the state legislature. Beyond his professional affiliations and his commitment to the business community, Don believes that our local schools and colleges serve as exceptional resources that in many ways, symbolize the continued revitalization of Greater Waterbury Community. He currently serves as a curriculum consultant for Post University's online legal studies course development. In addition, Don serves on Post University's Editorial Board of Directors for its online Academic Journal, Digital Life and Learning (digilifelearn.com), and as the Publication Designer and Technology Manager for that journal. 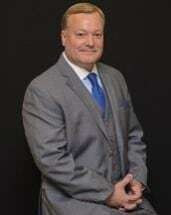 Don is an active member of the Connecticut Bar Association, the Connecticut Trial Lawyers Association, Waterbury Bar Association, and formally served on the Board of Directors of the Waterbury Bar Association. In addition, he serves as a member of the Connecticut Bar Association's Litigation and Technology Committees.